Tags: Audio mixing EQ tips, Cymbals and HiHats Mixing techniques. 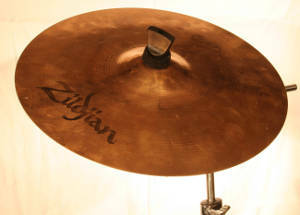 One of the most wonderful sound in the drum are the hi hats and cymbals. Without them, the song sounds dull and ugly. They define the brightness, air and level of professionalism of the produced track. It is because if you cannot hear the cymbals/hi hats very clearly or it sounds too loud, it drastically affects the whole mix, not only the drums. Mixing them is not hard unlike bass guitars or kick drums. However, this underdog in the mix is sometimes what defines a good mix – an essential balance between bass and treble. If you are a beginner in mixing, I encourage you to read this introductory guide on drum frequencies of bass drum, hi-hats, snare and crash cymbals. You will learn a lot of new information pertaining to the important frequencies of each drum kit components. 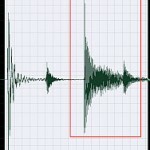 With this method you can EQ them better in the mix. In recording production of drums, you need to know that there are actually 4 parts of cymbals and hi hats used. Below are some of the suggestions on how to make them sound better in the mix. Read this additional reference on drum panning. Note: The panning settings for crash and ride cymbals used in this tutorial are for a right-handed drummer. If you like to have a left-handed drummer perspective, then you simply need to pan them to the opposite. So instead of panning LEFT for the crash cymbals, you would pan them RIGHT. The panning units or percentage would still be the same. 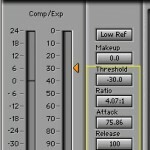 The panning units would also vary from DAW software to another. In Reaper these are expressed in terms of percentages, so a panning units of 10 would mean 10%. Of course these assumes that 0 unit for center and 100 units/100% for hard left or hard right.